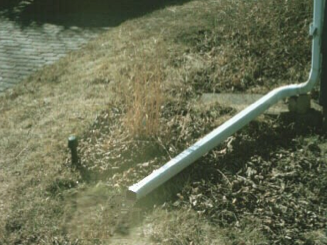 Use downspout extensions and splash blocks to channel rainwater to areas where it can infiltrate. 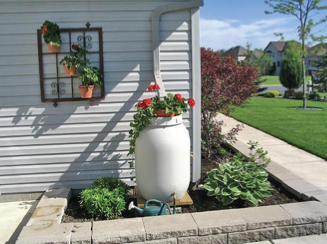 Rain Barrels collect stormwater running off your roof. Rainwater collected in the barrel can be used for watering your plants or garden or even washing your car. 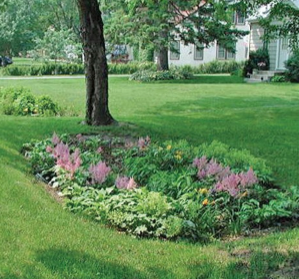 Rain Gardens are shallow depressions planted with different types of flowers, grasses or shrubs, that collect stormwater and allow it to soak into the ground. 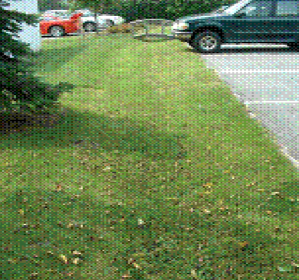 Infiltration Swales are low spots with an underground system of rock and gravel that allow stormwater to soak quickly into the ground. 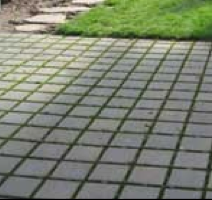 or other porous materials for sidewalks, driveways or patios. These (frequently cheaper!) 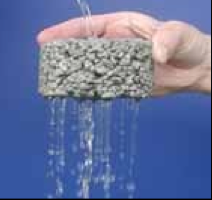 materials allow rainwater to seep into the ground, helping to filter pollutants and reducing the amount of run-off from your yard. 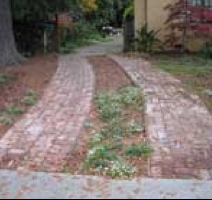 Use wheel tracks, (C) in place of full width paved drives.